After my huge disappointment last year with my hydrangea, I was fully prepared to return to Kilbourne Grove and find horrible and wilty hydrangea. I had been reading people’s blogs, and they were all talking about how hot and dry the summer had been. No one is watering my garden while I am away (no one had been watering it when I lived in Toronto either), I am a firm believer in the sink or swim method. 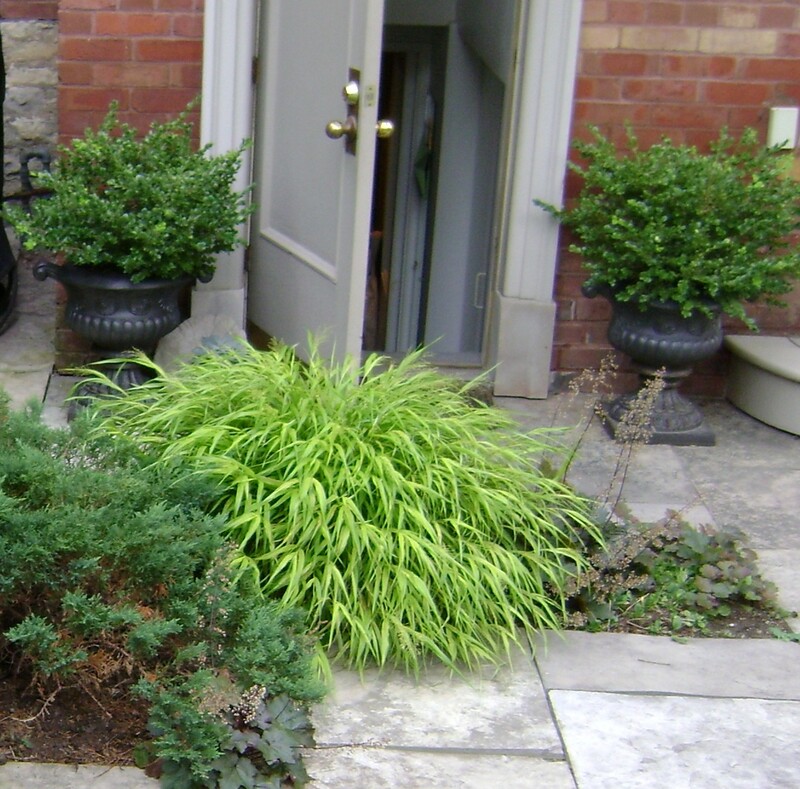 As a weekend gardener (and now long, long distance gardener), I cannot afford to coddle plants. So I was very prepared. 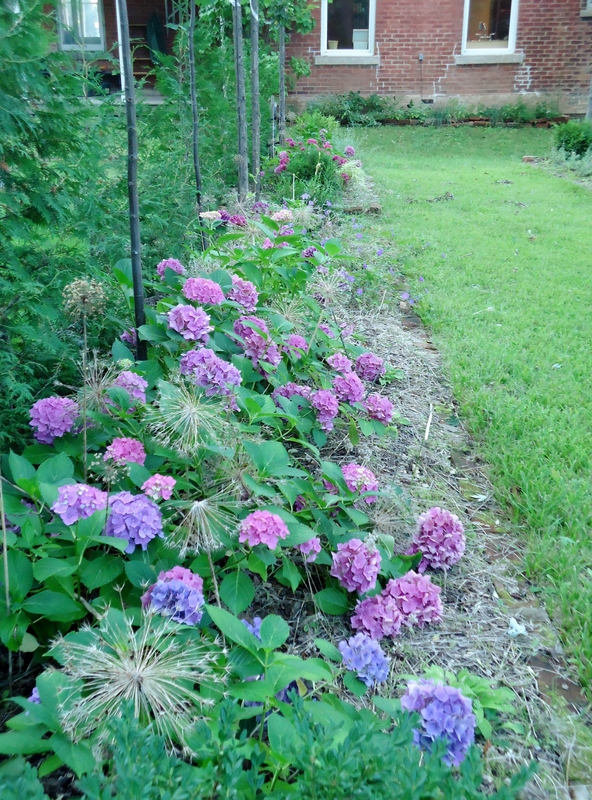 My ‘free’ hydrangeas are really settling into their space and starting to fill out. 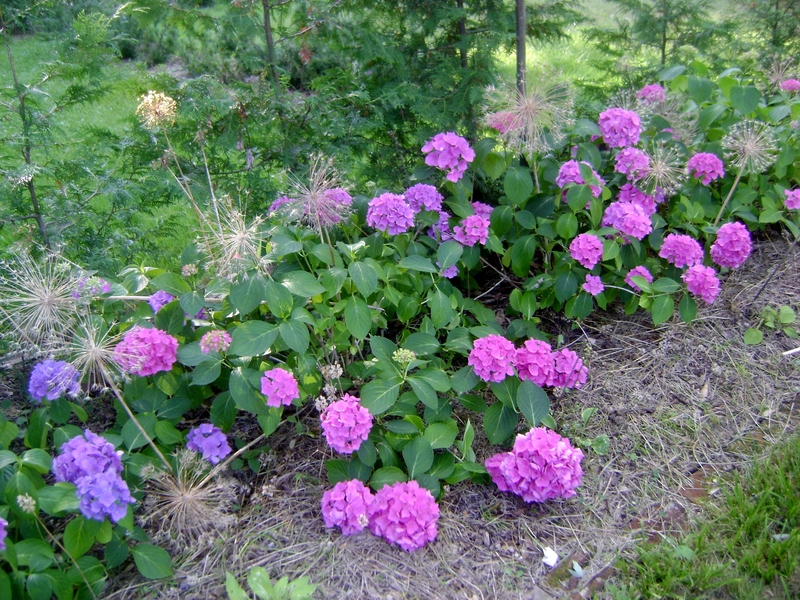 Hard to believe that these were all ‘blue’ hydrangea at one time. 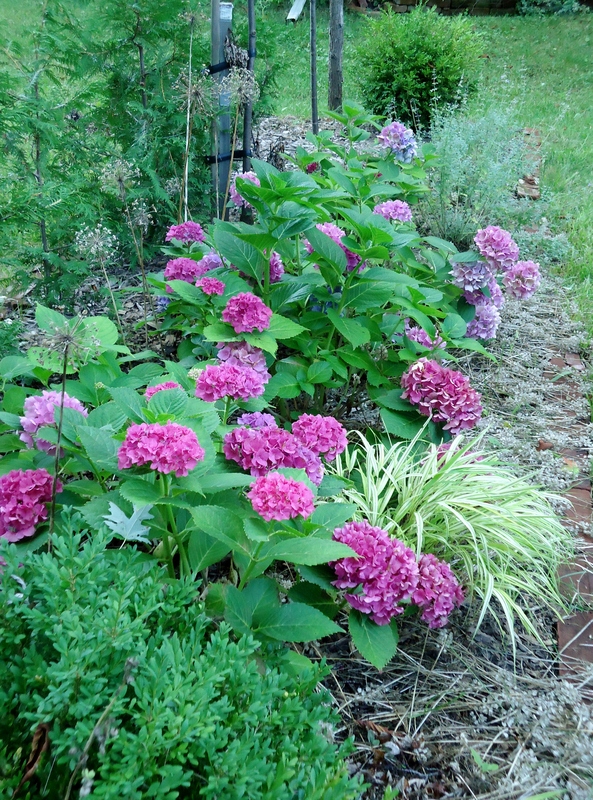 I was a bit of a hydrangea snob, would not take the bright pink ones. Now they are all various shades of pink, and purple, not a blue to be seen. I now that you need acidic soil to keep them blue, which we do not have in Ontario, and I am actually starting to prefer these colours. I love how the Allium christophii seed heads look with the hydrangea. I wish I had been there when they flowered, very curious how it looked. You can also see some seed heads of Allium ‘Purple Sensation’, these have been planted a number of years, but I wanted to extend the Allium season by planting the christophii. 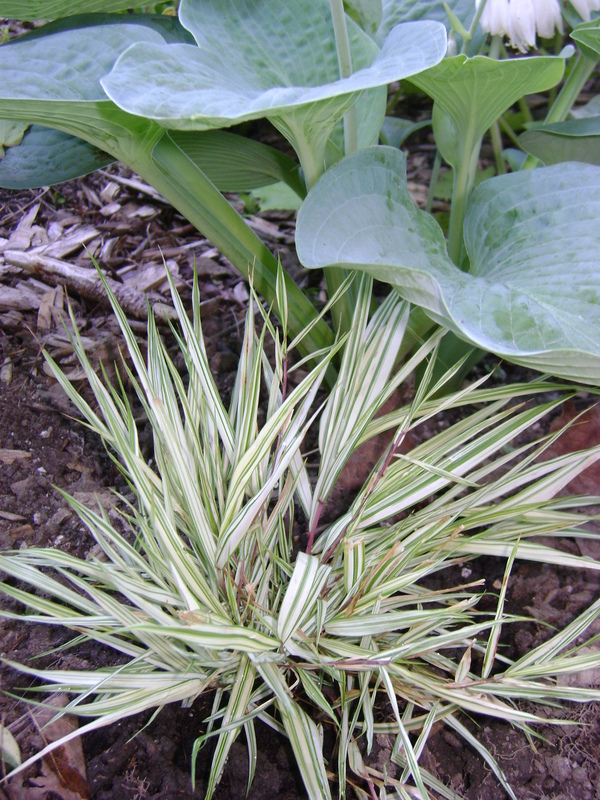 The Hakonechloa ‘Aureola’ is just one of the variety of plants that I am testing at the base of the hydrangea. As you know, I have muscari planted there and when it finishes flowering I find it a bit tatty. 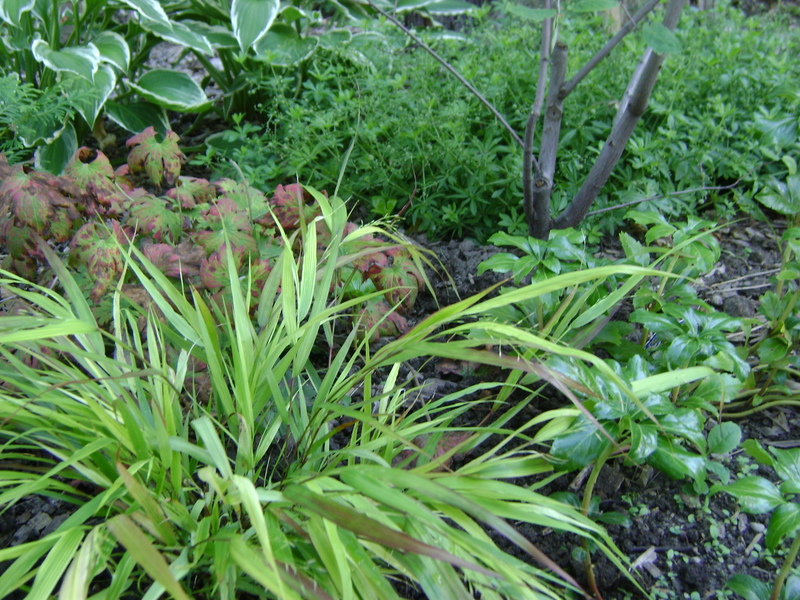 Along with the Hakonechloa I am testing Nepeta, Hosta and Geranium ‘Rozanne’. The geranium was the first to go, I dug it up and moved the plants to the Allee in September. 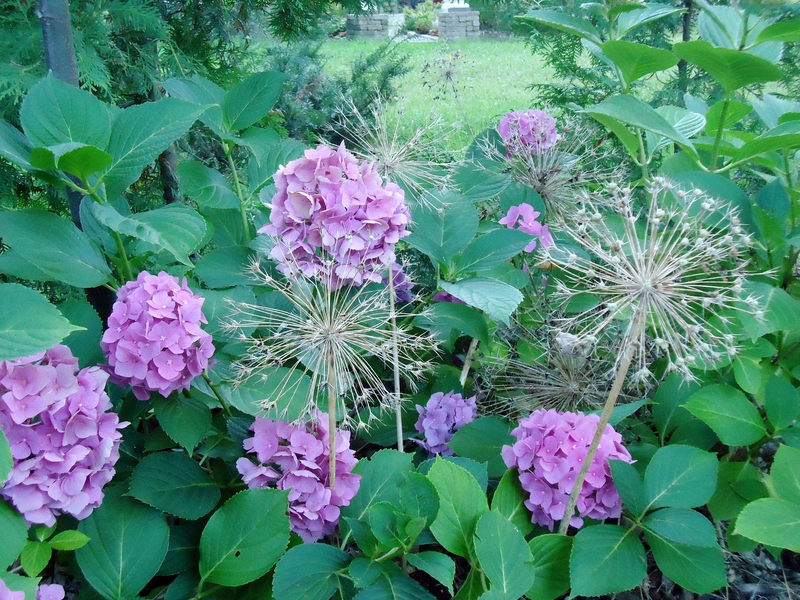 I love the plant, and it certainly flowers heavily, weaving its way through the hydrangea. Unfortunately it also weaves its way onto the path, and I prefer something a bit more tailored looking in this section of the garden. You can also see at the top of the photo the nepeta. Looking at at here, I am not feeling it, but I think I should give it another couple of years before I make a decision. See how messy the muscari seedheads get, must hide them. We shall see how the other plants make out over the next few years. Come here often? Yes that is one of the many cheesy pickup lines I used to hear when I was single. 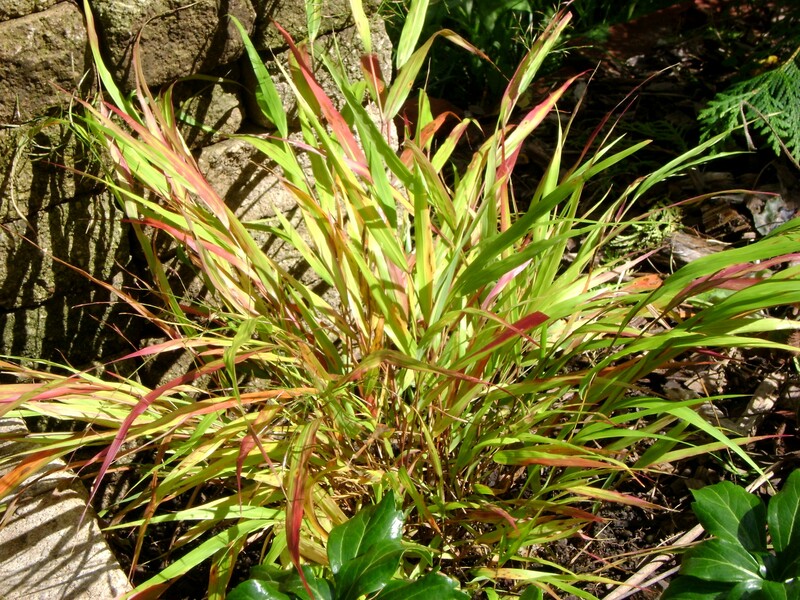 But gorgeous is a word that I am happy to apply to my new love, Hakonechloa ‘Beni Kaze’. He is loving the colder nights we have been having lately, and flaunting it! It is always a few degrees colder at Kilbourne Grove than it is in the city, we actually had to have a fire on Labour Day weekend. That doesn’t upset me, I am not a big fan of the heat, and love, love, love fall! 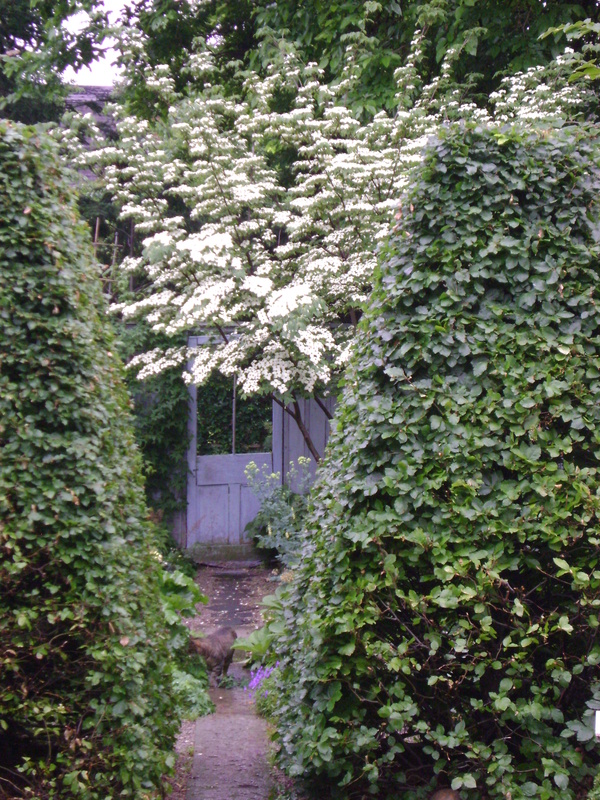 Yes, that is pachysandra that you see, a gift from the neighbour, it is on its way to the back forty. You can see Beni is breaking out his autumn wardrobe. Or you could look at it as dying his hair red, after all, doesn’t everyone want to be a red-head! Whatever effect he is going for, I like it, and I like him! I am obsessed (or is that possessed)! It is probably no secret to any one who reads my blog. What am I obsessed with this time you ask? Are you going on and on about snowdrops again? NO, much as I would like too, they are safely asleep and so are safe from me. 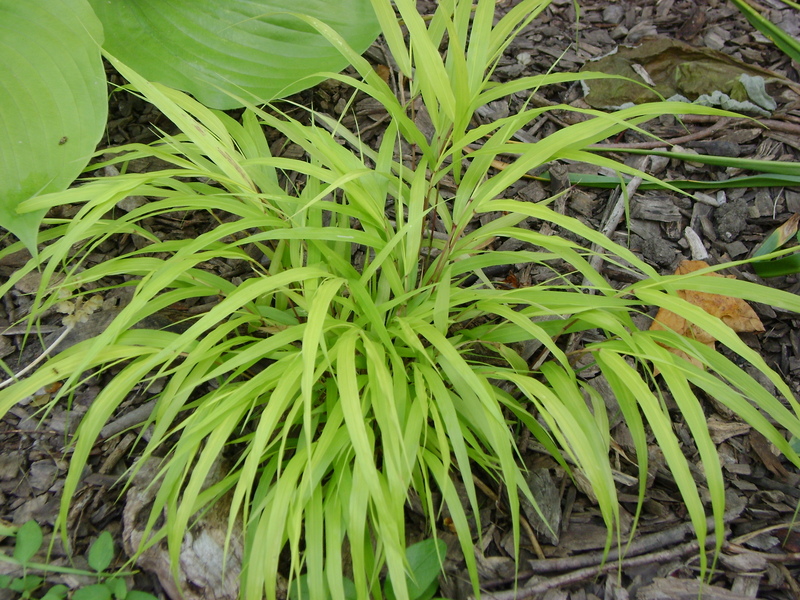 My new obsession is Hakonechloa. Probably not so new to anyone who read my two previous posts about them, here and here. 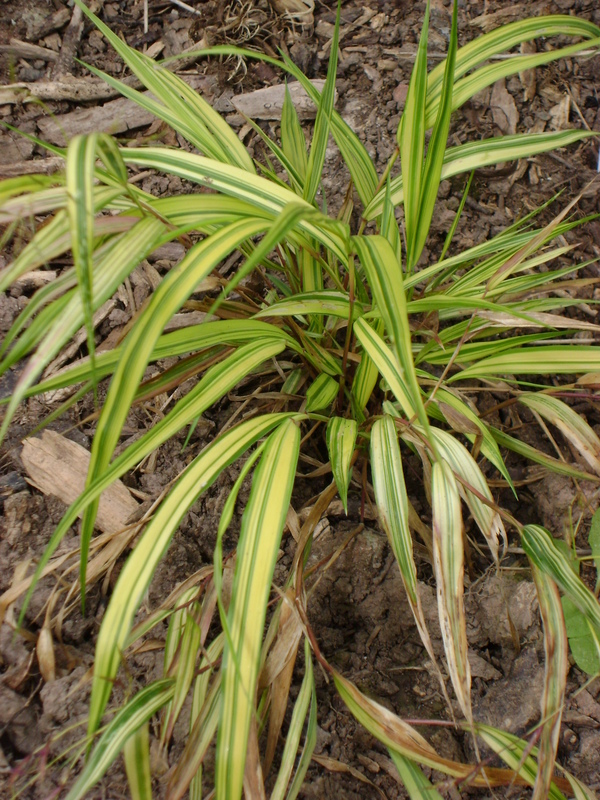 But I have something new, yes that is right, a new hakonechloa. Wait, I am such a tease. I actually have two new hakonechloas. My first is Hakonechloa macro “Fubuki”. Much as I love to say Fubuki over and over again(and especially to Ian if he gives me some ‘tude), it actually translates to “Snow Storm”. 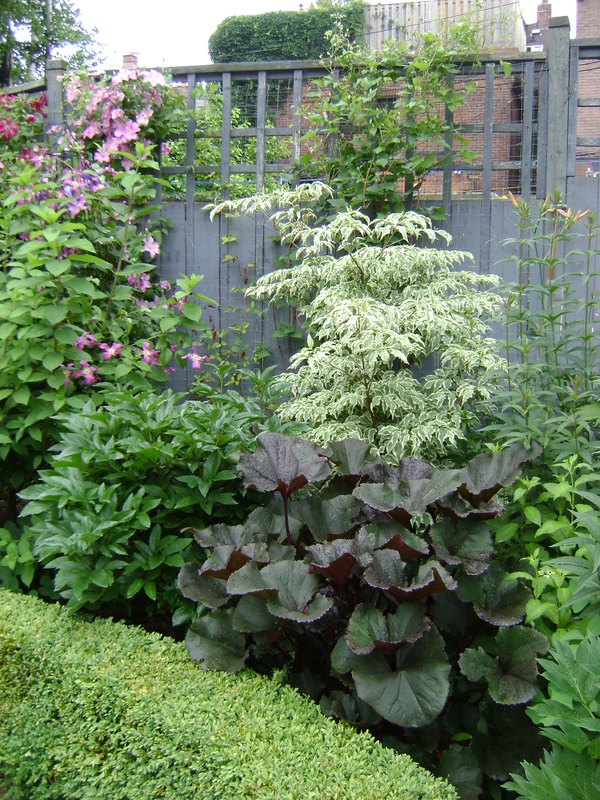 A lovely, short and upright white and green beauty, I have planted him beside a blue hosta. I think that it brings out his inner beauty. My next lovely is ‘Beni Kaze’, a weeping olive wonder who goes red in the autumn. His alias is ‘Red Wind’, I am hoping to see if he lives up to his name. These two stunners have joined the rest of my family, macro, Albostriata, Aureola and All Gold. I seem to be working on the National Collection of hakonechloas (except we don’t have that in Canada). As far as I can tell, I only need Nicholas and Naomi and I will have them all. Unless you know of more varieties? I am sure I am not the only one to obsess occasionally look over my blog stats. I have read other bloggers posts on the weird and wonderful search terms that they are found through. I have had a few myself, although nothing suggestive (not quite sure why I am missing out on that), lol. But, I find it fun, to look back at what are my most popular and (unfortunately) least popular posts. The most popular, I can understand why, but my least popular, I am not quite sure why no one liked it. Only 1 person read it, no that is not a typo, one!!!! Do you not like hakonecholoa? Maybe, you just don’t like the name, or know how to pronounce it? I looked it up, it is hak-on-eh-KLO-ah, see, easy. I can’t understand what else it would be, it is the most gorgeous grass and my favourite. Could it be because I showed you pictures like this? darn, this is not my garden, (yet)! It is a friends. If you want to read the very insightful and poetic post (lol) I first wrote about it, you can here. Otherwise, just take my word for it, plant some in your garden, any and all of the varieties are admirable, you won’t regret it! This has to be my favourite grass. 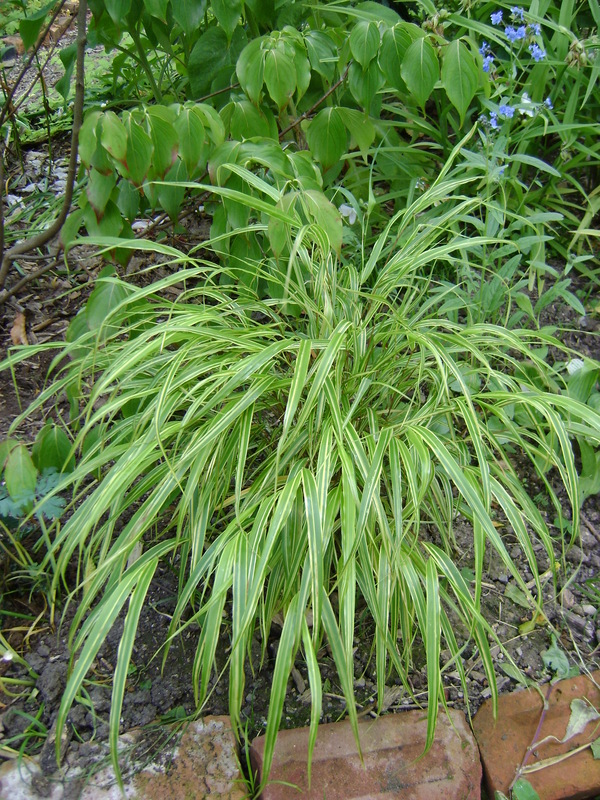 Hakonechloa or Japanese Forest grass is a lovely thing. I first planted it in Kingston and only had it for two years before Ian got transferred to London. But I felt inspired all over again when I visited Frank Kershaw’s garden during my garden design class at George Brown College. 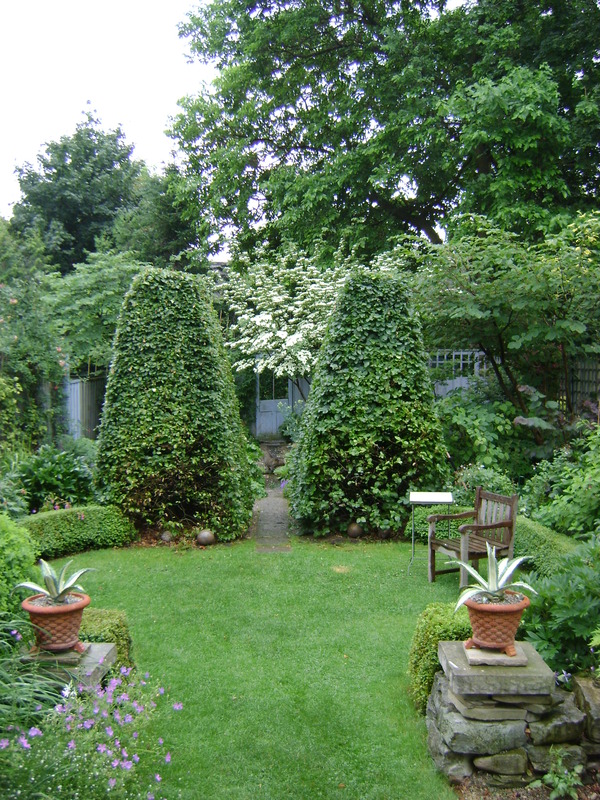 He has an amazing garden and in one corner his property is lower then his neighbours. 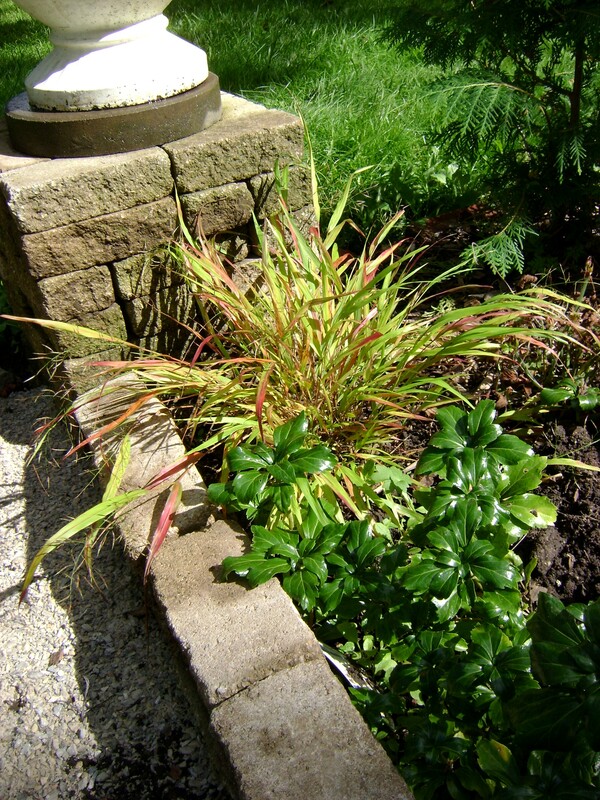 This influenced him to build a rock “waterfall” using hakonechloa grass as the water tumbling down. It was stunning and I wish that my camera had not been broken so I could share a picture of this. That year I went out and purchased two haks. 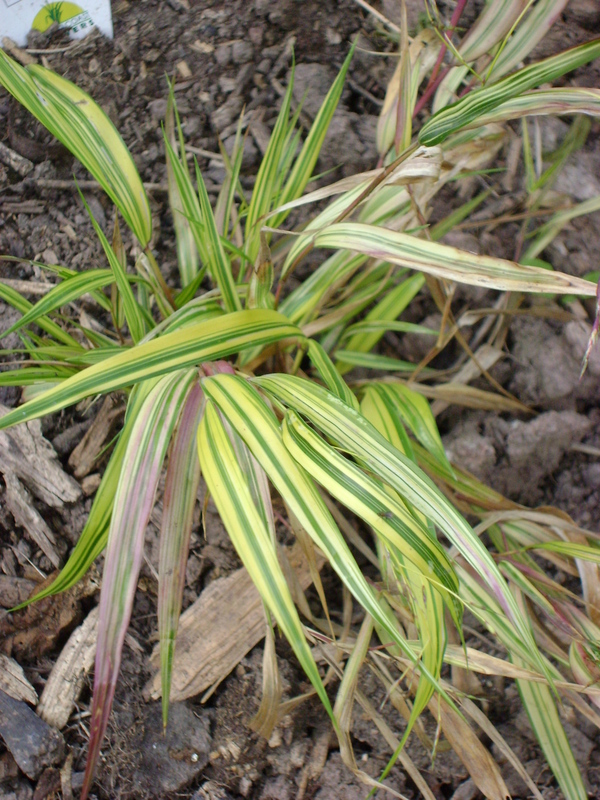 You can see the Albostriata has a white stripe on its leaf. This one is more upright and spiky. 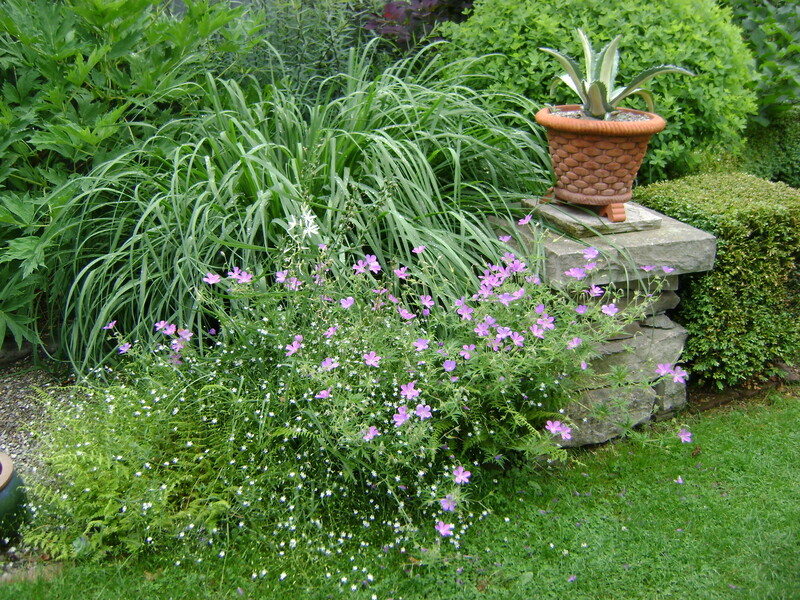 Even though the grasses are slow to bulk up they are a respectable size after two years in the garden. They can take full sun to part shade and are listed as hardy zones 6-9, but Owen Sound is in zone 5 and mine are very happy. Of course, the ten feet of snow that Owen Sound gets EVERY winter may have something to do with that! This one I bought this year. It is the Perennial Plant of the Year for 2009 and Loblaws certainly tried to promote it by bringing in hundreds of these to their garden centres across Ontario. I waited to purchase it until it went on sale (cease you Scottish blood). They were all sold out in Toronto, but the good people of Owen Sound did not find it so appealing and I was able to purchase two there for 1/2 price. Because it had sat on the table all spring, it had been subjected to a bit of torture, but now it has a happy home in my garden and will be busy bulking up (hopefully) alongside of his brothers. 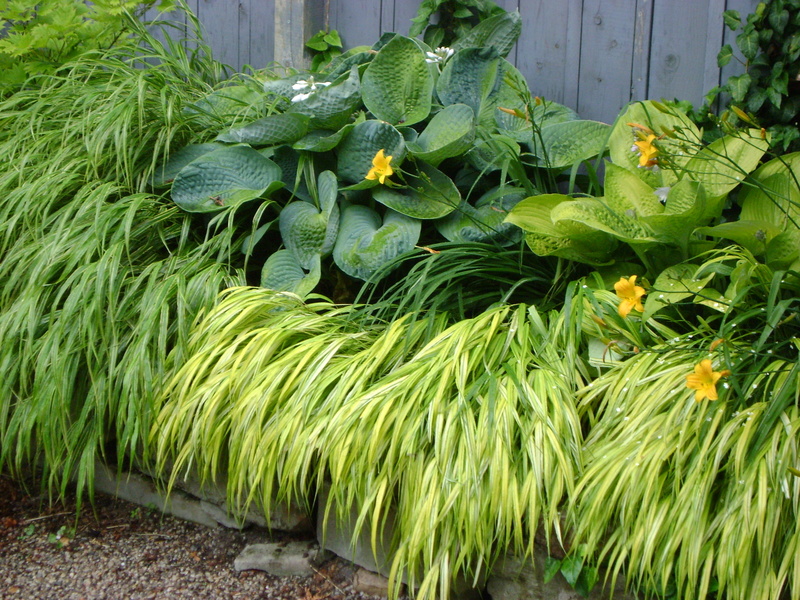 There are so many other varieties of this grass and I would like to see them all. Lost Horizons carries 8 different varieties on their website (no pictures unfortunately), but I have purchased plants there and have always been very happy with how healthy they are.